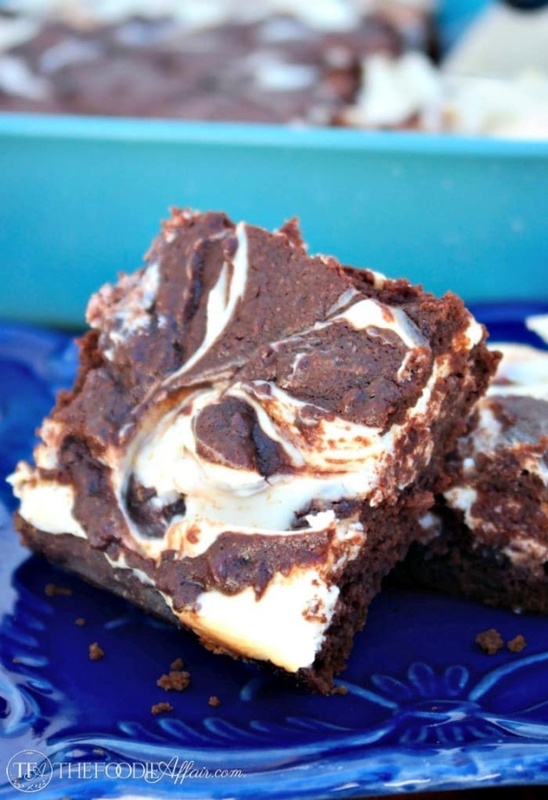 Low Carb Cheesecake Brownies By Sandra Shaffer from The Foodie Affair. Low Carb Cheesecake Brownies are a delicious guiltless treat! These gluten free and low sugar brownies are two favorite desserts combined into one tasty dessert!